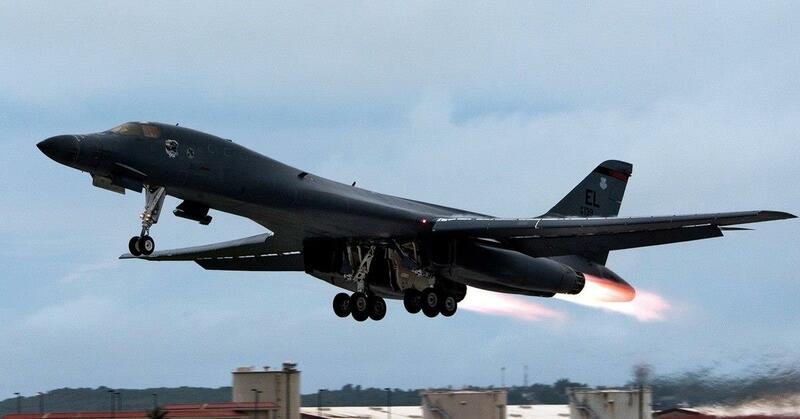 WASHINGTON, March 28 (Xinhua) -- The commander of U.S. Air Force Global Strike Command ordered a safety stand-down of the B-1B Lancer fleet on Thursday. In a press release, the command said "potentially fleet-wide issues were identified with the rigging of the drogue chute" during a routine inspection of the system. "It appears to be a procedural issue and is unrelated to the previous problem with egress system components," it said. "As a precautionary measure, the commander directed a holistic inspection of the entire egress system." The safety stand-down will allow maintenance and give technicians time to inspect each aircraft. As these inspections are completed and any issues are resolved, aircraft will return to flight, according to the command. Nicknamed "The Bone," the B-1B Lancer is a long-range, supersonic conventional bomber which has served the U.S. Air Force since 1985.